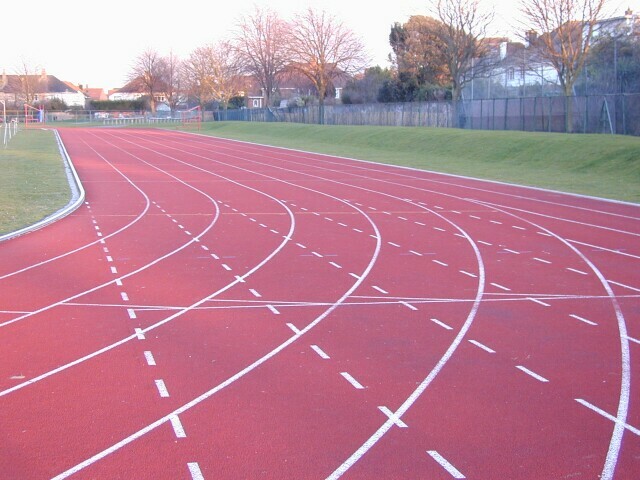 The track was originally grass and was used for Southern League fixtures in the 1970s. It became synthetic in late 1995 and has a Spurtan BS surface which is showing some signs of wear. The adjacent Leisure Centre building was opened on 15th July 1972 and the astroturf football/hockey pitch which is next to the track on 1st October 1989. Floodlights for training were installed in autumn 2003.